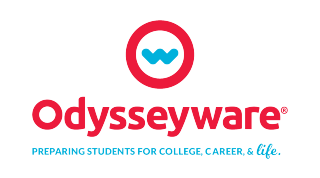 Escambia County Schools in Brewton, Alabama, today, announced a collaboration with digital curriculum pioneer, Odysseyware, designed to ensure that homebound and adjudicated students unable to attend school can continue to access rigorous digital courses. The District's new virtual school, which launches in August, will also enable students to pursue accelerated, competency-based courses while complementing their studies with career-focused courses in fields ranging from culinary arts to foreign languages. "What started as an effort to harness the potential of technology to ensure continuity for homebound students, has evolved into a powerful, virtual resource to complement the needs of all learners," explains Amy Cabaniss, Escambia County Schools Supervisor of Curriculum and Instruction. "We're creating a truly unique experience, designed to augment the capacity of our traditional schools with expanded digital content and resources." The district began using Odysseyware's digital curriculum during the spring in an alternative school setting with 40 students. In June, the program was expanded to enable students to access high school courses during the summer months. When the virtual school becomes available districtwide in August, all students will have access to core academic content and career and technical education, as well as elective courses like culinary arts, welding, and music appreciation. "Odysseyware's unique approach provides us with the flexibility to customize the courses to ensure alignment with Alabama's state standards," according to Cabaniss. "We'll be able to meet students where they are, and create pathways to college--and careers--that work with the real-world challenges and demands many of our students are facing." For more than forty years, Odysseyware has been at the forefront of innovation in learning. Our personalized instructional tools harness the transformative potential of technology to deliver a rigorous educational experience in core academic subjects along with enrichment activities, electives, and new career pathways. To learn more, visit Odysseyware.com or call 877-795-8904.